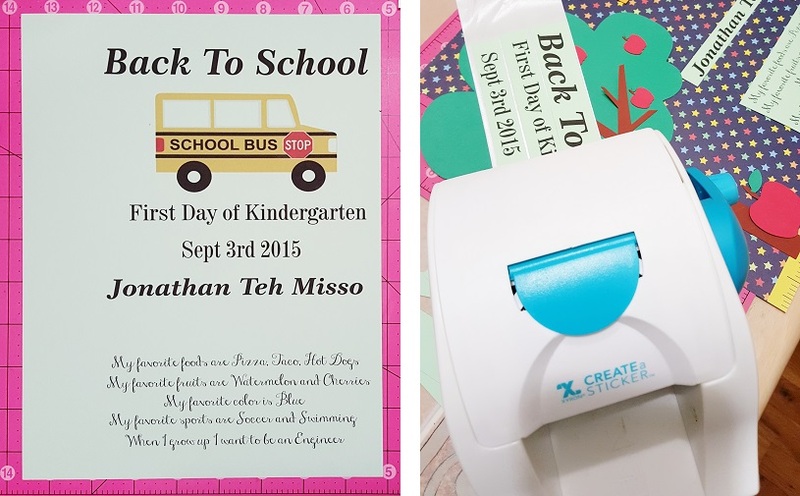 Back to School prep is in full swing now, and today, we have an adorable project by Alexia Misso using Xyron adhesive! Best part? recreate the page with Alexia's free SVG download! It's the time of the week again, Happy Thursday everyone (one more day till TGIF)! I hope you are geared up to craft this weekend, if you are not already crafting every day. It's now August which means the school starts next month, how are you feeling about your kids going back to school? My son is entering Kindergarten this year, I'm sure I will be missing him a lot while he is at the school. I created this First Day Of School Sign to help capture this moment of sweet (and bitter) memories. He seems excited to go back to school but I'm not too sure how well he will to handle it when he is actually there. Anyway, here it is...he is my precious boy! It's Craftwell and Xyron partnering month so you will be seeing a lot of projects created using the products from both of the companies. Sweet!! To make this sign I create a template for what I want to display on the sign, print it out and cut them into strips. I then arrange and adhere them to the 12 x 12 patterned card stock. 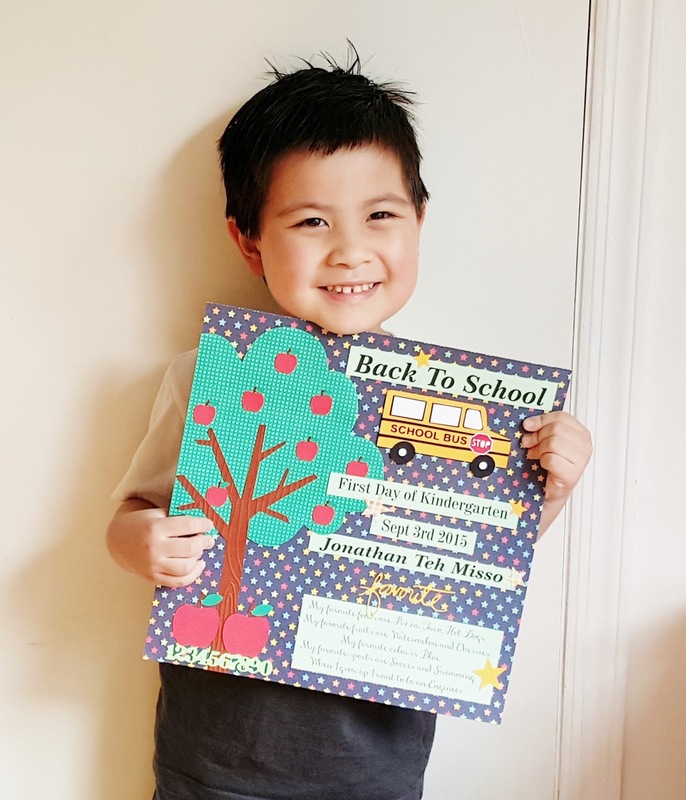 I designed and cut some tree, apples and school bus images on my silhouette designer and embossed the tree with Craftwell's embossing folders. After putting everything together, here is how it looks like! I love the texture of the embossed apple tree. I hope you enjoy this project! Have a wonderful weekend everyone! Sweet pic and layout to commemorate his first day of kindergarten!